Foster Mounds includes two earthen mounds located at either end of a large village or plaza. Mound A, at the northern end, is the larger of the two. The size and shape of the mound were modified prior to the construction of the late 18th century historic home now located on its summit. It currently stands at just under 10 feet tall and was likely shaped like a truncated pyramid. Professional archaeological excavations in the western slope of Mound A uncovered early 19th century artifacts, suggesting that the mound was expanded at that time to accommodate construction of the veranda. Despite its recent modifications, Mound A at Foster is one of the Mound Trail's best examples of the construction techniques used by Native American people to build earthen mounds. In 2013, archaeologists excavated a portion of the southwest corner, revealing that the mound was built in at least four distinct stages. First, Native American people removed or leveled the soil underneath the mound to prepare for its construction, then laid down a layer of fill at the base. Next they built a mound stage by repeatedly dumping basket loads of fill dirt. The next mound stage was created by carefully stacking sod blocks, and the final stage encountered in the excavation was another episode of basket-loading. These alternating methods of construction speak to the complex knowledge of Native people regarding the engineering principles necessary to create monuments out of earth that remain standing centuries after they were built. Very few artifacts were found in Mound A, though a portion of a pottery bowl as well as a radiocarbon date indicate that it was built during the Plaquemine Period, sometime after AD 1400. Mound B sits at the opposite end of the village, a little over 200 yards due south of Mound A. Overlooking St. Catherine Creek, Mound B has been damaged by erosion and so its original size and shape are difficult to distinguish. It is now about five feet tall. Excavations undertaken in Mound B in the early 1970s identified two stages of mound construction, as well as evidence of a pre-mound occupation, including posts, wall trenches, and hearths associated with two or three different structures. Pottery and stone artifacts recovered from the area indicate that Mound B was constructed at the same time or slightly earlier than Mound A, perhaps as early as AD 1200-1350. The pre-mound occupation may have begun as early as 500 BC. 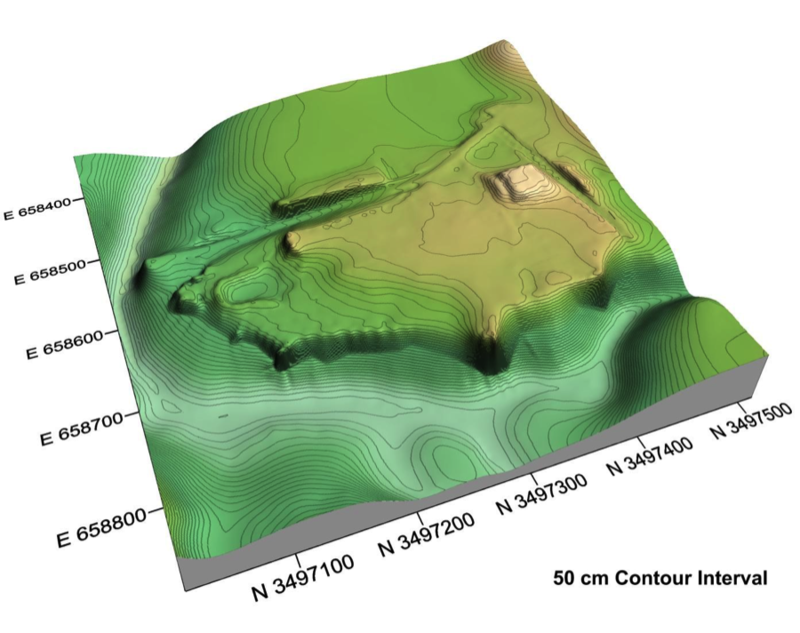 Though there is no direct evidence for how the mounds at Foster were used, platform mounds dating to this period typically had buildings on their summits that served as the residences of important political and religious leaders and it is likely that Mounds A and B functioned in this way. 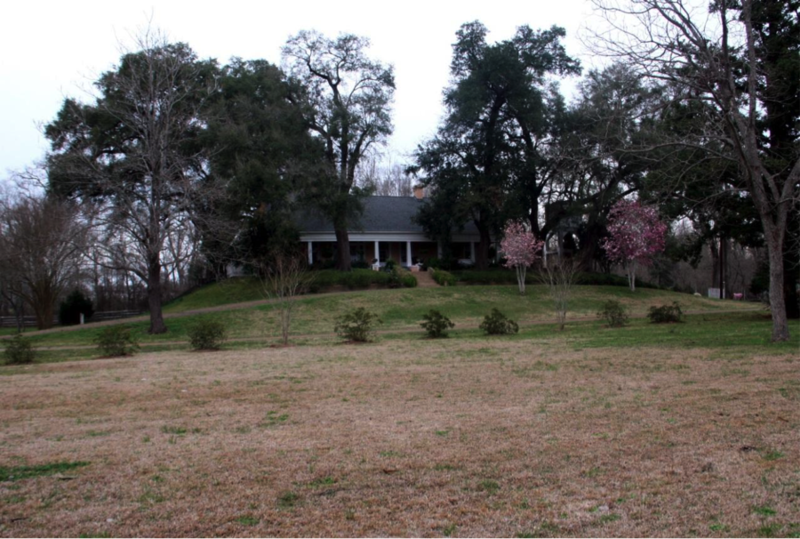 Certainly, Foster was an important site during the Plaquemine Period. The early Natchez Trace passed right through Foster and connected it with Emerald Mound, which served as the capital of the Natchez Nation prior to the 16th century.